Goodbye, weekends. We’ll be binge-watching Ms. Frizzle and the gang. Ms. Frizzle and her thematically on-point earrings are about to educate a whole new generation thanks to Netflix. 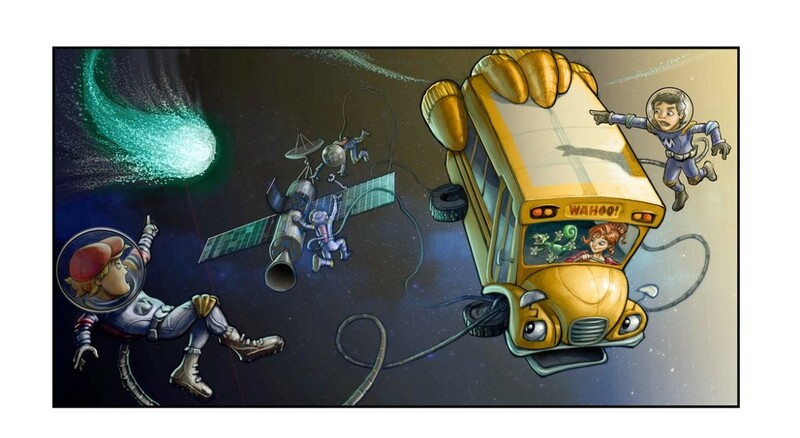 On the heels of popular reboots like “Gilmore Girls” and “Fuller House,” the “The Magic School Bus 360°” will cash in on 90s nostalgia and the continued focus on STEM education for children, especially girls. The revival will feature 26 half-hour episodes. According to Ted Sarandos, Netflix’s chief content officer, the original “Magic School Bus” is the top educational show currently streaming on Netflix. “It teaches science in a way that transcends generations,” he explained. Stu Stone, the show’s producer and the voice of Ralphie in the original show, told Good Housekeeping a number of original cast members have signed on to the project, and we can expect Ms. Frizzle and Liz to be just as endearingly kooky as ever. He also noted there are a number of celebrity cameos planned, including — drum roll, please — Dolly Parton! The Netflix team will bring the show into 2017 with advanced computer animation. Passengers on the Magic School Bus will employ high-tech tools like robots and “smart suits” on their science-based adventures. There’s no concrete release date yet. In the meantime, buckle up and revisit some of your favorite old episodes, streaming now on Netflix.